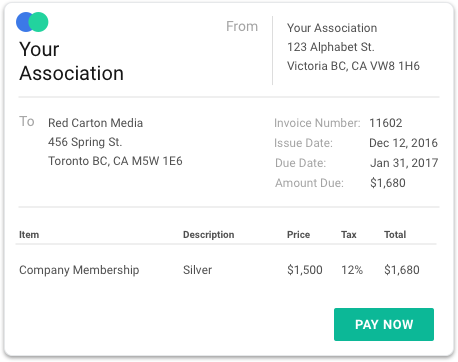 Take payment or generate invoices for your organization's events, donations, job postings, and collect membership fees online. Member payments made easy. Save time for you and your members. No more snail mail, waiting for cheques or trips to the bank. We support secure, online payment processing. All transactions create invoices in SilkStart. Generate and send manual invoices only as required. Streamline your accounting process. Stay on top of your accounting with our easy to use transaction tracking features. Generate invoices and manage both online and offline payments in one place. Quickly view paid or unpaid invoices. 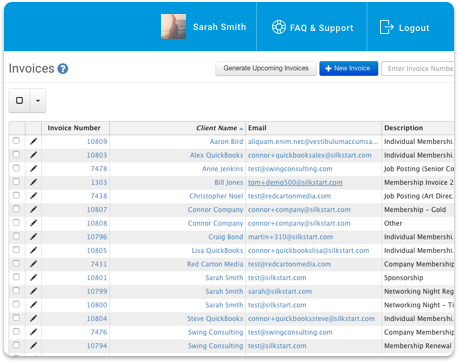 With one central database, you're a point-and-click away from generating powerful and informative reports. 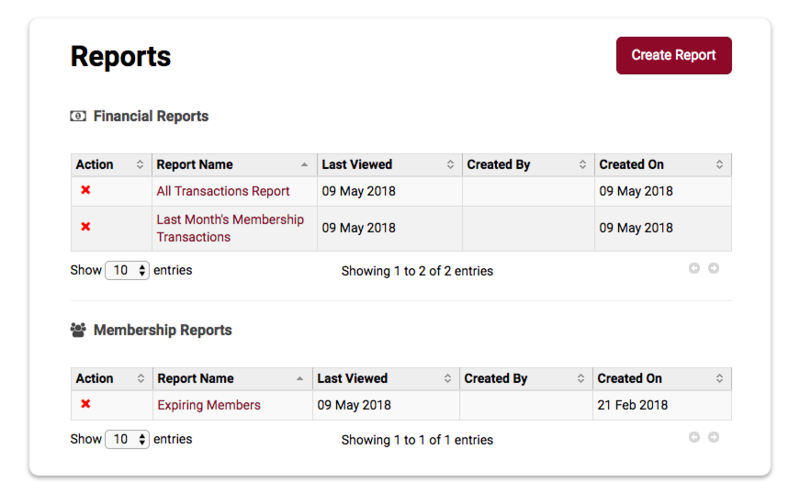 Create custom reports around any data point such as members, events, or transactions. Easily filter results using one or more drop-down menus. Save it to re-run monthly, or export it and use elsewhere. Easily export to programs like Quickbooks for financial reconciliation. Make informed budgeting decisions using the financial information found in your SilkStart database. SilkStart currently supports USD, CAD, AUS, and GBP. If you need a different currency, just ask! No more confusing paperwork. The audit trail between your branches is easily monitored.